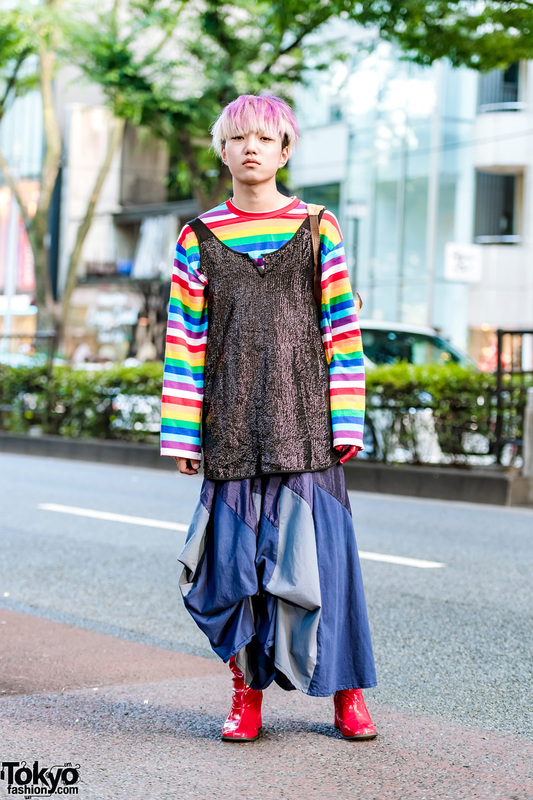 Japanese student wearing rainbow stripes and vintage red boots while out in Harajuku. 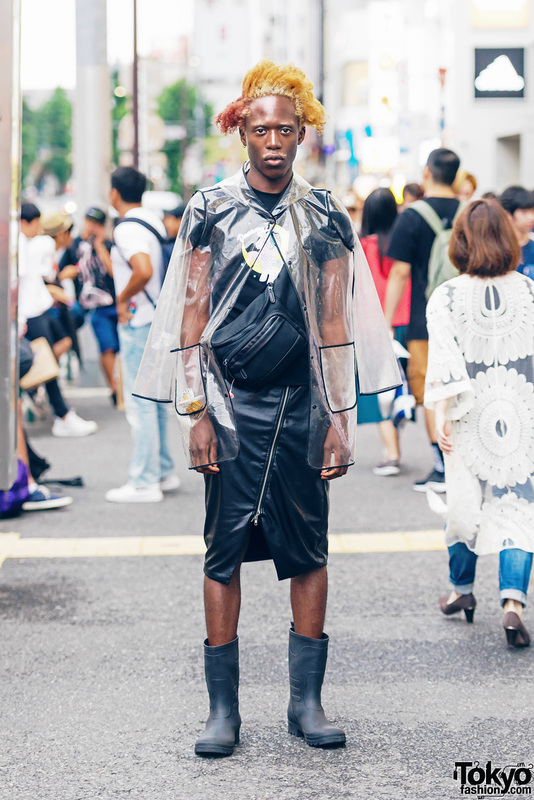 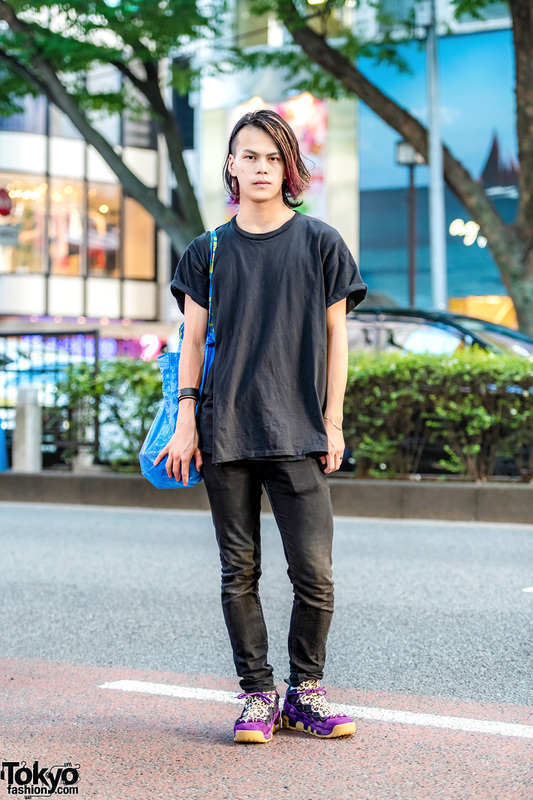 Harajuku guy’s street style with see through jacket over My Little Pony t-shirt, leather zipper skirt, rain boots and belt bag. 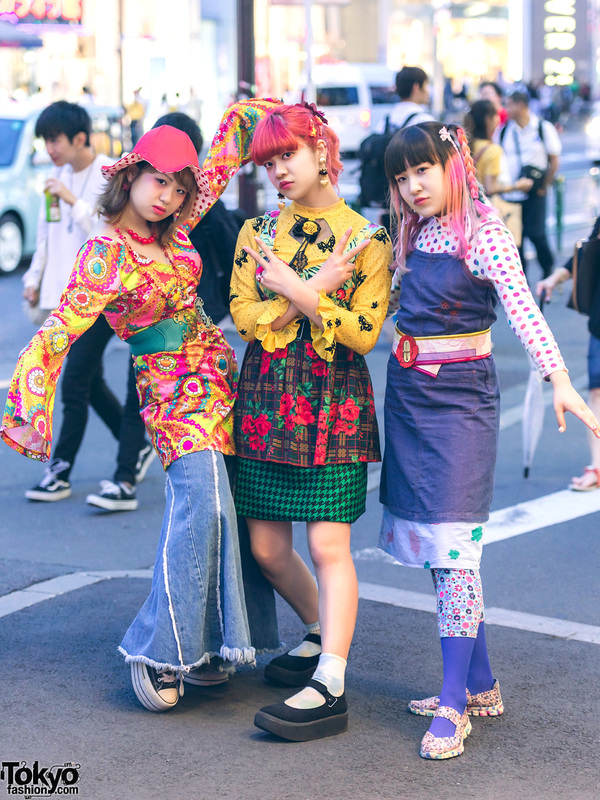 Harajuku high school student in DHL collar shirt, sheer ruffle skirt over short shorts, thigh high lace up boots, floral print sling bag, a tattoo necklace and a fuzzy bucket hat.